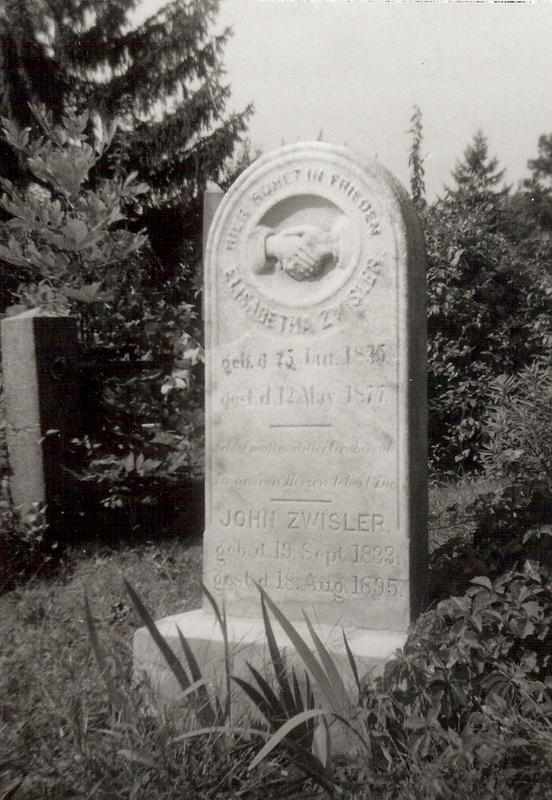 I will be posting here about Genealogy from time to time, some posts for beginners and some for intermediate researchers. I will try to identify which is which. I am a Genealogist, I trace family history. I have been doing this for over 30 years and I taught genealogy classes for many years. I do genealogical research almost every day, it is a passion for me. 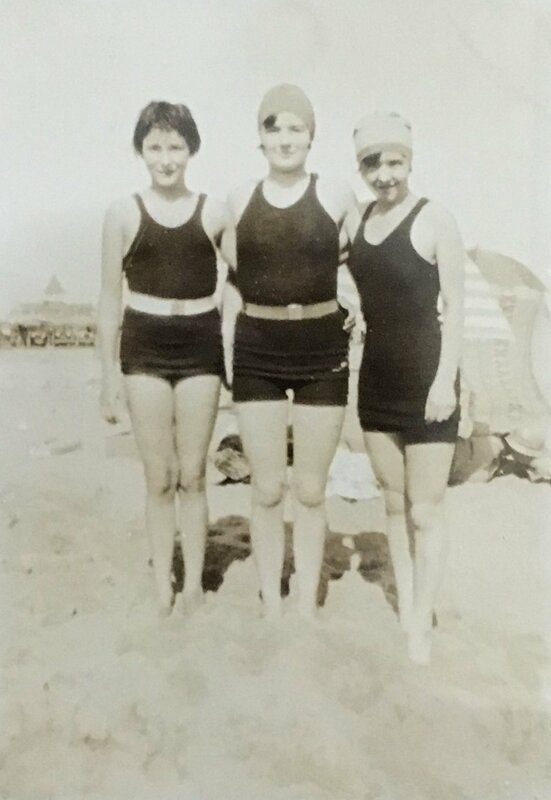 The top photo is my mother on the left at age 11, in 1927, and two of her sisters, Lois and Margaret. Above is a photo from about 1940 of my maternal grandparents (back left) with some of their family including my mother (second row down, third from the left). With all the genealogical resources now on the Internet it can be fairly easy to go back a few generations quickly if you know where to look. If you don't have birth, marriage and death certificates for your parents and/or grandparents that will give you further information, you can start with the 1940 U.S. Census, the most recent Census that is available for the public to use. It is available online for free at https://www.familysearch.org/1940census. The link leads you to the index where you can search for your family by name and other identifying terms. The other Census decades are available at Family Search as well. 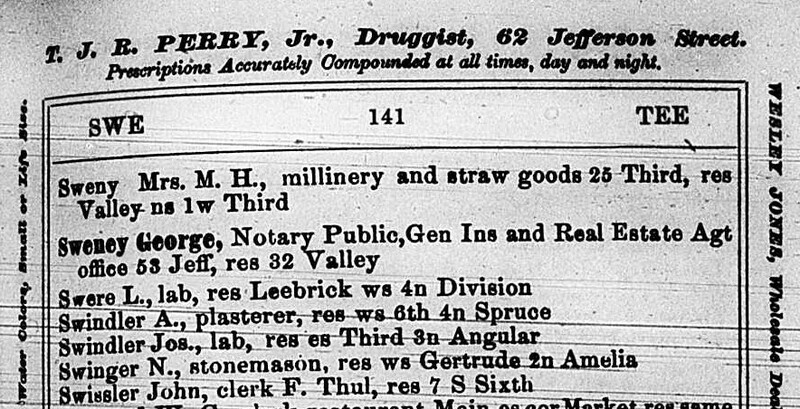 The Census pages are very difficult to photograph but when you follow the link and find your family, you will be able to see the columns very clearly. This is a page from the 1940 US Census that shows my maternal grandfather and grandmother (at the bottom, Willis and Joanna Leonard) who were living in San Bernardino, California at that time. The Census shows (along the left edge) that they were living at 3233 Pershing Avenue. As you can see, there is a large amount of other information that is provided about them including age, occupation, income, and their state or country of birth. It also tells where they were in 1935 as well. You should always read across the top and see what the columns include. The US Census has been taken every 10 years since 1790 however the Censuses before 1850 only list the head of the household and the 1890 Census was destroyed by fire. Each Census contains different information and it is important to track your family line back through every decade and read each column carefully so you don't miss anything. The Census may contain errors because the census worker was relying on whoever it was who answered the door and provided the information. Also the information between Censuses may differ from decade to decade because memories of the past might have changed or the information wasn't known firsthand and was inaccurate. This page shows the family (at the bottom) in the 1930 US Census, still living in San Bernardino but now living at 427 Magnolia Avenue. Willis and Joanna are listed but also in the household are two daughters, Lois and K. Elizabeth and Willis's mother-in-law, Emma L Howey. The Censuses from 1880 on state the relationship of everyone in the household to the head of the household only, no one else. This is important to remember when there are multiple marriages in a family. The 1930 Census also listed what ages the head of the household and spouse were when they were first married and it also gives the state or country where their parents were born. Again, you need to read each column, across the top, to see what information is provided. This Census page shows the family in 1920, again in San Bernardino, and at the same address. This is 10 years earlier and there are now other children still living at home. What is interesting to note here is that for the older children, the birthplace of the mother is different from the younger children. This is a strong clue that Willis may have been married before he married Joanna. The other clue is the fact that the oldest child listed is only 16 years younger than Joanna, another strong indication of an earlier marriage. Another clue is the gap between the birth of daughters Dorothy and Lois. As you move back through the Census decades you will be able to find more information about your family. It can be a challenge but it is worth it! More genealogy tips to come in the future! Send me a comment if you have any questions.